Hi guys, we are almost at the end of our eczema series. Our last 3 recipes are for those with very severe eczema that gets in the way of your daily life. For your skin, please ensure that you do patch testing to ensure that there will be no reaction towards any new product you use. 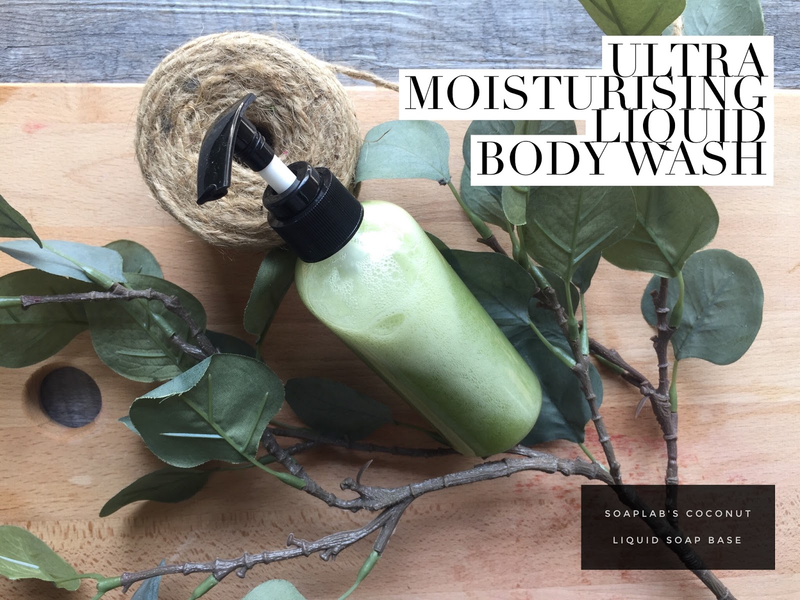 Today we have a very mild and extra moisturising body wash.
Our base is SoapLab's coconut liquid soap base formulated under Nisha's strict standards (she used to be a pharmacist in KKM, so its "very very strict standards"). It's mild and has all the wonderful properties coconut oil gives you, especially being anti-inflammatory. Next we use sea kelp and algae extract to soothe and deeply moisturise your skin. In this severe stage of eczema, even your soap and body wash need to moisturise your skin. Otherwise, it will only cause your condition to worsen.